Free stuff always comes with a price one way or another. It is not obvious at first glance, but sooner or later there is something that a user must exchange with the use of a product or service even if it is not money. The market for antimalware and antispyware can be considered as saturated today. This high level of competition confuses people what product and service to sign-up for to secure their network and computing devices. The cheapest decision to make about resolving the computer security issue is to just take whatever free security software out there and call it a day. One of the first considerations for the enterprise to secure itself in the Internet is what anti spam system to use. Like the decision of choosing an antivirus, key decision makers of the company may just choose spamfighter free. Spamfighter free is part by default of any mainstream email clients like Microsoft Outlook and Mozilla Thunderbird. The anti spam technique used by Spamfighter free is through the use of developer-supplied blacklist of the most common spam keywords. The sophistication of Spamfighter free depends on the version of the email client. The newer the email client, the more effective the anti spam algorithm used. However, enterprises usually follow a strict software lifecycle in order to streamline cost of upgrading softwares to the next version. This is a huge disadvantage for spamfighter free built with Outlook and Thunderbird, given that spammers continue to improve their "misspellings" of common spam keywords. How many times have we encountered the word viagra misspelled in many ways? Security is crucial these days, compromising it may end up becoming a big problem down the line for any enterprise. The top performing system for anti spam is not through spamfighter free but with the use of an enterprise wide anti spam gateway. Comodo®, a trusted name in privacy and security launched the Comodo Anti Spam Gateway. It runs as a hosted service that operates independently from the mail server. It scans in real time all incoming mails even before it reaches the user’s mailbox. Powered by the cloud-based Valkyrie scanning engine, incoming and outgoing emails are filtered for further analysis and always have the most updated engine for scanning spam. 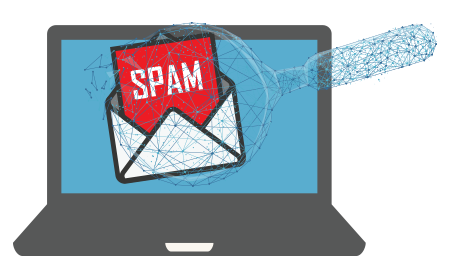 With Comodo Anti Spam Gateway’s innovative quarantine system, it keeps the users from encountering malicious attachments. It blocks malware inside attachments and never allows links from spam emails from being accidentally clicked by the unsuspecting users. Some may argue that the use of a hosted anti spam system based-on AI technology may just increase false positives. However, experience tells us that the use of spamfighter free that uses blacklists, which we have grown to use to combat junk, is more prone to false positives. There are many legitimate emails that get blocked by spamfighter free systems. Spamfighter free are prone to accidentally throw legitimate email to the junk folder, just because it had an instance of a spam keyword being used in the body of the email. Comodo Anti Spam Gateway allows sysadmins to be confident, as it runs on the network transparent to the employees unlike that spamfighter free. Users in the Enterprise can now then safely open email attachments that they receive, as it already passed the strict scanning of Comodo Anti Spam Gateway. Secure your enterprise, secure your future, choose Comodo Anti Spam Gateway. Sign-up for a trial today!